Black all plastic coat hanger with bar and skirt notches. 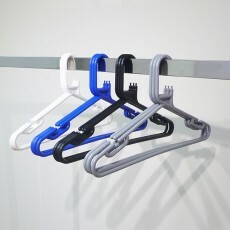 This 42cm wide plastic coat hanger is perfect for charity shops and sports clubs especially when used with wet clothing. 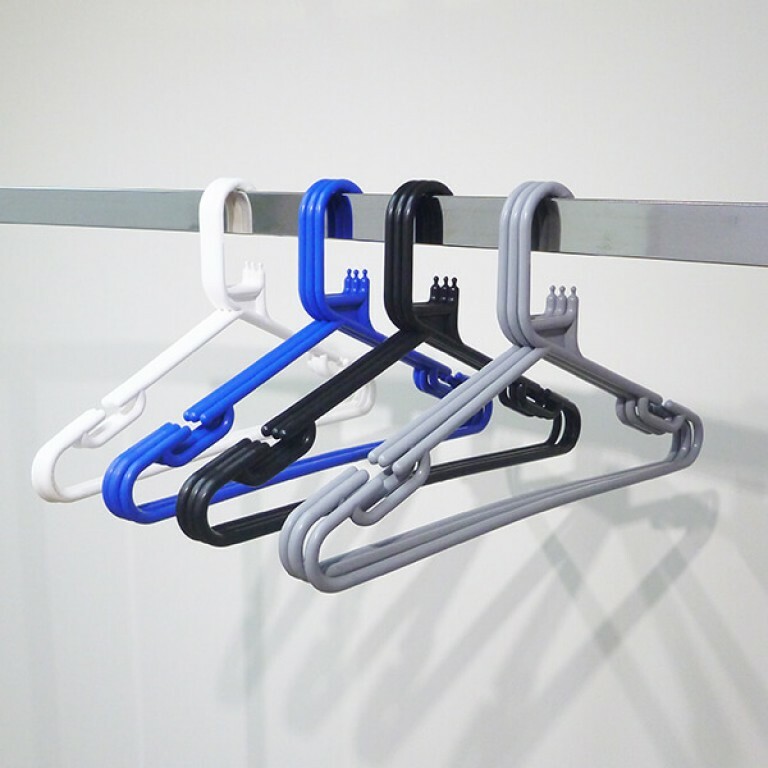 It’s a versatile hanger that can be used both commercially and for domestic use. Available in 5 colours in singles of boxes of 120. 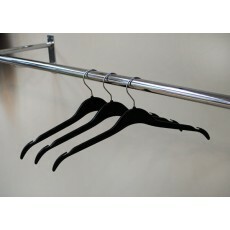 Black all plastic coat hanger with bar and skirt notches.